Total Quality and quality of workmanship is of utmost importance throughout the company processes. 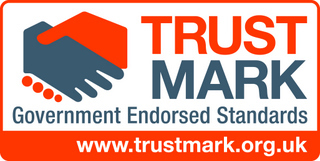 The company standard for all work is BS 6915 - Design and construction of fully supported lead sheet roof and wall covering - Code of practice. The company is a member of the Lead Contractors Association and all employees are are trained in lead fitting skills and are encouraged to work to the highest quality standards. After the lead roof is completed patination oil is applied to reduce the risk of staining and also provide a pleasing surface appearance. All employees have been through health & safety courses and have also attended contractors health and safety seminars. As a result of the training in all aspects of their work each employee is on the Contractors Skills Register and has been issued with a "CSR" Card. Two of our senior Lead Fitters have attended a one week Advanced Leadwork Training course in London. Bovill Lead Ltd are agents for all products produced by Cavity Trays Yeovil, recognised as the UK's top quality product lines. Our main speciality is in Lead Roofing of all types and we are also keen to provide technical support at the design stage to ensure all preparation is to BS 6915 standards.